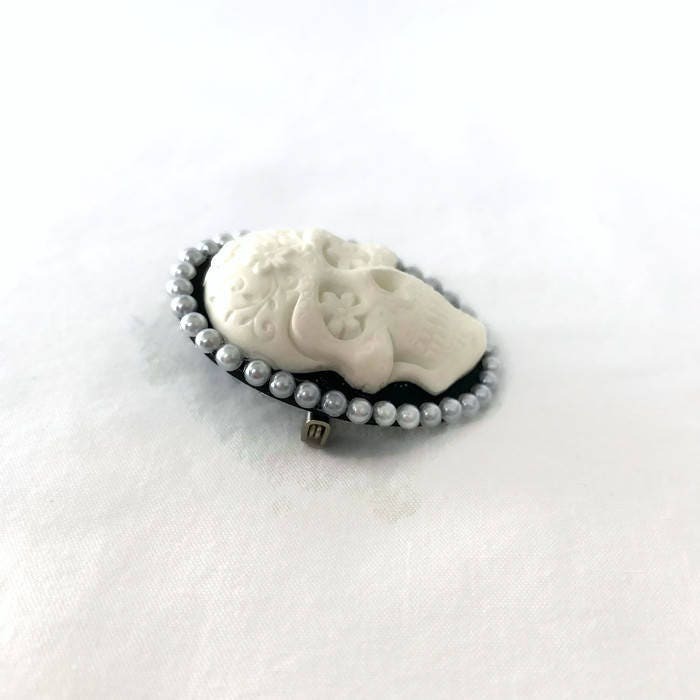 This day of the dead brooch is a creepy twist on a vintage style. A white sugar skull cameo on a black background is framed by tiny white pearls. 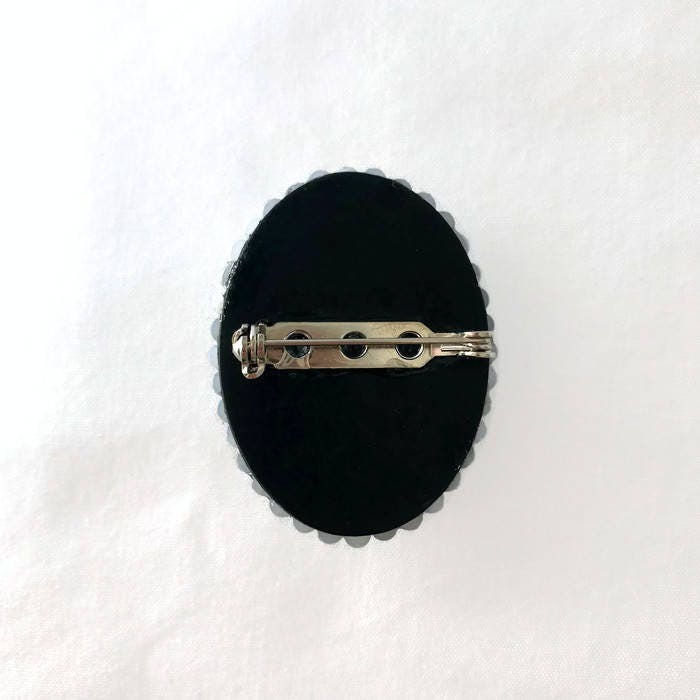 The cameo measures 30 x 40 mm or about 1.18 x 1.57 inches and is backed by a pin back. 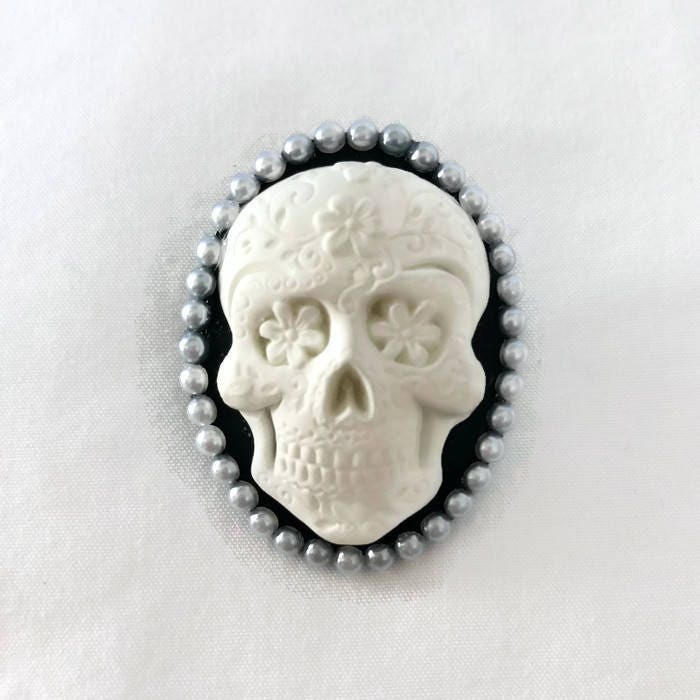 Add some Dia de los Muertos to any outfit with this gorgeous handmade pin.